True Story Pictures is scheduled to release the DVD of its documentary The Art Academy on November 16. To celebrate the occasion, a DVD Preview Party will be held Thursday, October 18 at Marshall Arts. 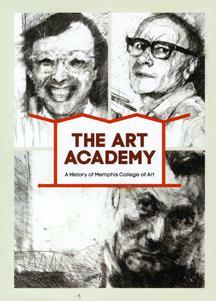 Produced and directed by Joann Self Selvidge, The Art Academy reveals the stories and characters that pepper the past of what is now known as The Memphis College of Art. The film features narrative animations, old and new interviews with the iconic artists who taught there, previously unseen archival footage from the 1950's, 60's, and 70's, art direction from MCA alumni and students, and an original soundtrack by native Memphians. Highlights of the party include an exhibit of the artwork that was created for the film, a sneak-peek screening of extras and excerpts, live music from the film score composers Paul Taylor and Steve Selvidge, and food and drink from Another Roadside Attraction. I talked to Joann Self Selvidge about some of the fascinating stories from the college's history, the process of putting the DVD together, and how you could play an important role in supporting the DVD release of the film.